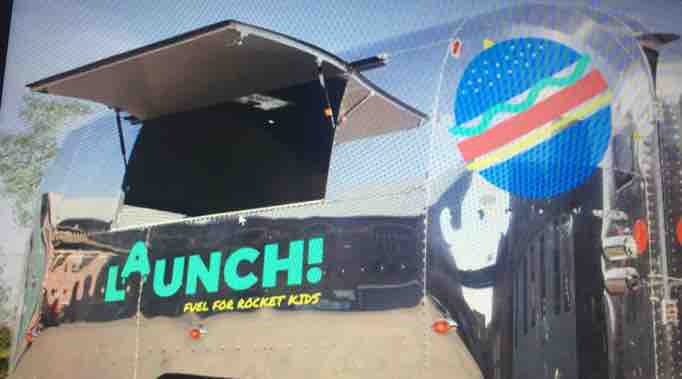 Launch is a not-for-profit enterprise. We do not receive support from Government for the work we do each day in schools. We focus on maximising food surplus by feeding kids in our communities with hot nutritious food after their school day and during holidays. Our food offer is open to all kids and served from American Airstream Rocket food trucks which the kids see as being cool, we think so too! To ensure we can continue to feed Glasgow’s kids we thought we would open Launch Coffee serving up great coffee with all profits going back into feeding our kids. We wondered if GLASGOW wanted to help us in our efforts by helping fund the fit out of the coffee shop. This way everyone who cares can feel part of Launch knowing we are all doing something special in our city. We’ve now provided over 24,000 free meals in 22 weeks. Your help will ensure we do so much more! 30,000 meals provided in 27 weeks! Lots more to do.